The National Criminal Defense College Trial Practice Institute is the original, transformative, two-week trial skills program designed exclusively for criminal defense practitioners. Now in our 34th year, we are proud to call thousands of great criminal defense warriors our alumni. This year our Trial Practice Institute will be hosted at the Roger Williams University Law School in Bristol, Rhode Island! We are bringing the transformative magic from Macon, Georgia to Bristol, Rhode Island for the first time ever. Each two-week session is limited to 104 participants, divided into 13 small groups according to trial experience. The least experienced groups normally have no jury trials. It is not unusual for members of the most experienced group to have tried 75 or more jury cases. Topics covered in the group exercises include client interviews, jury selection, direct and cross examination, impeachment and closing arguments, among others. Each participant performs daily assignments under the supervision of a member of the nationally recognized faculty. Faculty members rotate daily. Small group exercises are supplemented by faculty lectures and demonstrations. Professional actors are used in the roles of clients and witnesses. "Not only have my skills been increased vastly, but I have also discovered a family of dedicated people to whom I can turn for help within the field.... It is rare that a person gets to learn so much from such enlightened people." "You folks not only taught skills, but you have imparted great confidence. I can't thank you enough." "I will never try a criminal case the way I did before attending the NCDC...[It] changed my outlook on the practice of criminal law...made me a better trial lawyer and a better person." Tuition for 2019 is $2,500.00 per person. Dormitory-style program accommodations are separate and are only $49.50 per person/per night to room in a shared double or $99.00 per night for participants in singles. (All rooms have their own bathrooms.) We do not accept commuter students. Total cost for participants in singles is approximately $3955. Total cost for participants in shared doubles is approximately $3228. All scholarship recipients will reside in shared doubles. Applications are now available. See link above. Timely applications should be submitted no later than March 30, 2019. We will receive many more applications than we can accommodate in the program. Admissions decisions will be made by April. Tuition for all admitted participants will be due on May 1, 2019. Applications will exceed enrollment by a substantial number. You are encouraged to apply early. Initial acceptances will be made from Application Forms received by March 30th. Late applications and those not selected will be placed on a waiting list. Members of National Association of Criminal Defense Lawyers (NACDL) and those who represent indigent clients in criminal matters will be given priority. If you are the head of an office that wants to send multiple attorneys to TPI, you are welcome to submit an Office Application which will be available by January 20, 2019. Please note that each individual attorney will still have to submit his or her own individual Application as well so that we will have the information needed to make each admission decision and consider the attorney for proper group placement. Because of the defense orientation of this program, those who regularly prosecute cases in any court are referred instead to the National College for District Attorneys (NCDA). NCDC applies for CLE accreditation for this program in states where participants request credit. NCDC programs are approved in most jurisdictions. Where a state charges for credits, charges are passed along to participants requesting credit from that state. 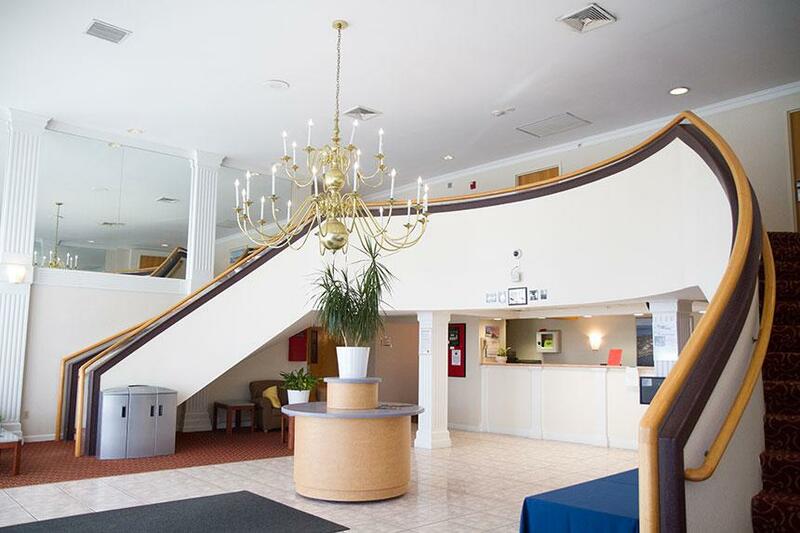 Participants will stay at the Baypoint Residence and Conference Center in dormitory style accommodations close to the Roger Williams University School of Law at $99.00 plus accommodations taxes per night for singles and only $49.50 plus accommodations taxes per person per night for those who wish to share double rooms in order to save costs. Scholarship recipients must stay in double rooms. All rooms include private bathrooms. Parking is free at Baypoint. Meals provided from tuition include: scheduled social events (1 or 2 dinners) and breakfast and lunch on weekdays. Participants are on their own for all other meals. NCDC recognizes that many of our participants have special diet needs. We try to accommodate those needs wherever we can, but we cannot do this without your help. There will be a place on the application to indicate dietary needs. As always, we want you to enjoy your NCDC experience without worrying about what your next meal will consist of. If you do not provide your dietary information on the form, we may be unable to accommodate you when you arrive. Tuition for admitted applicants is due on or before May 1, 2019. Refunds may not be available after that date unless we are able to fill the spot. Substitutions will be allowed in some cases, but only if approved by NCDC. As many instructors are needed for the sessions and lectures associated with the Trial Practice Institute, please refer to our list of faculty members for names of potential instructors.